So far in this column, I’ve talked about quite the range of failed sequels, from an Americanized version of a Japanese classic to a revered game that most would argue shouldn’t be called a failure at all. Today, though, I’m going to restart and finish a mini-series started on the previous version of the website, taking a look at the darkest period in the history of one of gaming’s greatest icons, as well as one of my all-time favorite characters. That’s right, it’s time to review the string of terrible titles in the Sonic the Hedgehog franchise. And we begin our journey with Shadow the Hedgehog. 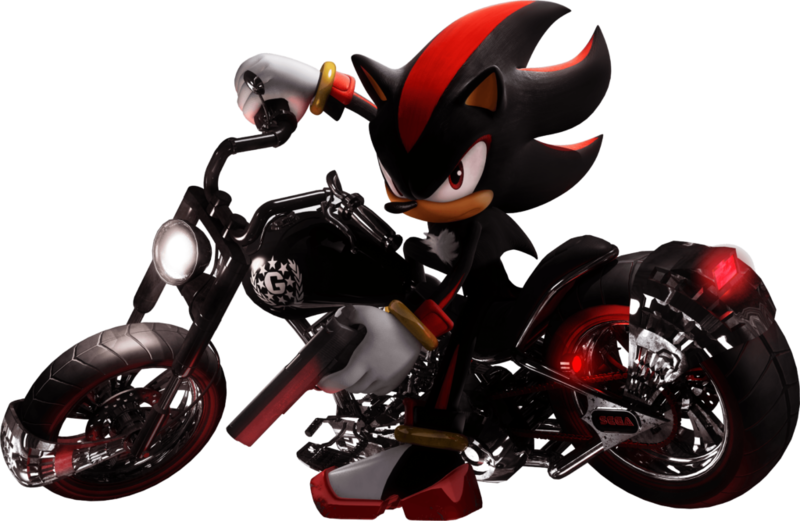 Though it’s not the worst game the series would eventually endure, Shadow the Hedgehog is the first time fans really began to worry about the future of their beloved blue blur. True, Sonic Heroes was a bit of a step down from the greatness of Sonic Adventure 2, but it was still a solid enough game in its own right. Shadow the Hedgehog, meanwhile, was a true mess, one that not only failed to capitalize on its unique ideas, but also dropped the ball when it came to giving a satisfying conclusion to the mystery of Shadow’s identity first introduced four years earlier. Before we start tearing into this sucker, it’s worth taking a look at what the game gets right, However little that might be. Released in 2005, Shadow the Hedgehog was one of the earliest games to jump aboard the “morality system” bandwagon, joining a group of titles from the mid-to-late 2000s that utilized the concept to varying degrees of success. Surprisingly, it offers one of the better attempts at such a system. Though you only go through six levels in a playthrough, each stage offers up to three possible outcomes: hero, dark or normal. Whichever ending you reach determines which stage you’ll play next, as well as the overall flow of the narrative and Shadow’s character development. Ultimately, this means there are 22 possible levels and 10 different endings to discover. Sadly, discovering all of these possible variations isn’t exactly a fun proposition given how terrible every other part of the game is. The gameplay is a glitchy mess, never offering a compelling reason to keep playing. It’s extremely easy for Shadow to go flying off the edge of a stage, either in a failed attempt to execute a homing attack or simply from glitching through the ground while trying to run in a straight line. The game’s weapons, including the much-maligned firearms, don’t help matters much, as their reliability is virtually non-existent. The use of special Chaos abilities spices things up a bit, but they’re pretty limited in in terms of how often you actually get to use them. The boss fights that pop up on occasion offer some variety, but even these fights slingshot between ridiculously simple and controller-smashingly cheap. It doesn’t help that some bosses endlessly repeat the same lines of dialogue, making certain fights feel like descents into repetitive madness. This all might be worth dealing with if the story was interesting, but the game falters even in this regard. I’ve gone on record as a supporter of the over-the-top narratives the Sonic games often have, but even I can’t get behind Shadow the Hedgehog’s story. Really, it all boils down to “aliens did it” and Shadow’s need to either fight off or support the invasion. Black Doom ranks as one of the series’ lamest villains, and the whole game serves as a disappointing conclusion to Shadow’s journey that developed through Sonic Heroes and Battle. Given the limited appearances of the character since this title, I can’t help but wonder if Sega should’ve just left Shadow dead following the events of Sonic Adventure 2. At the very least, it would’ve meant this game wouldn’t exist. Sure, we’d probably still have a mediocre Sonic game from 2005, but it would’ve been a brighter, more upbeat experience more in keeping with the series’ aesthetic, not the grim, dark, unpleasant reality of Shadow the Hedgehog. But hey, it had a kicking theme song! 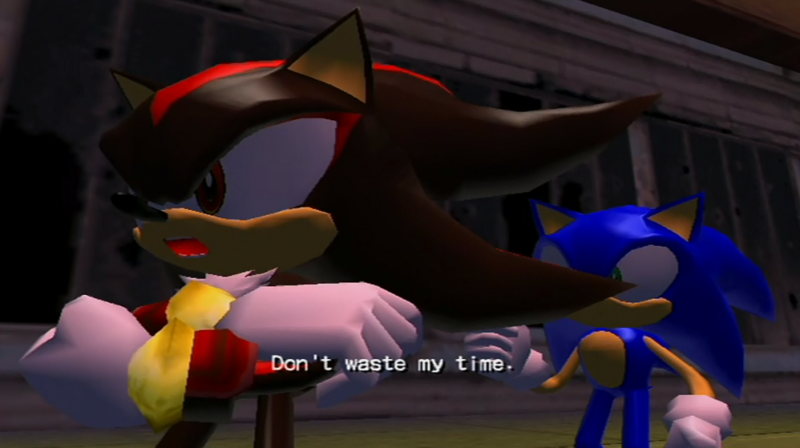 Tags: Features, Gaming, Shadow the Hedgehog, Sonic the Hedgehog, The Sequel Slump. Bookmark the permalink.